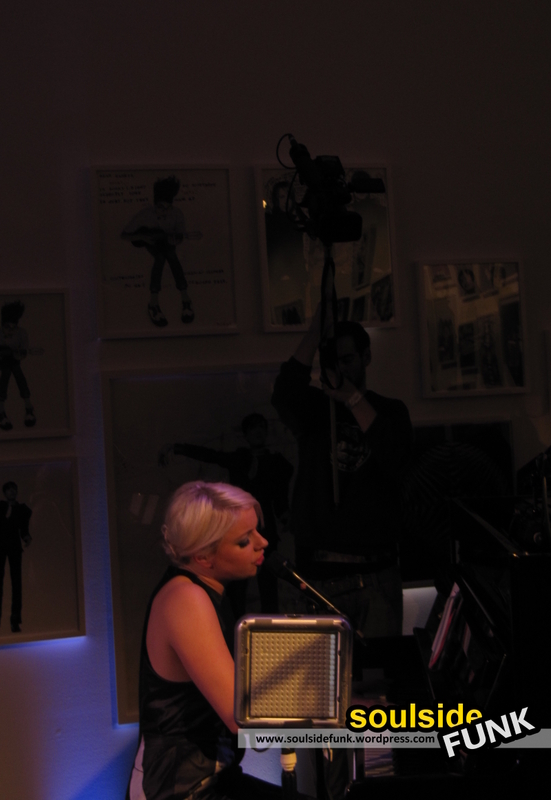 Little Boots and a piano was all that was needed for a charming night of music at Phillips de Pury Gallery, just wish she’d turned off the Tenori. 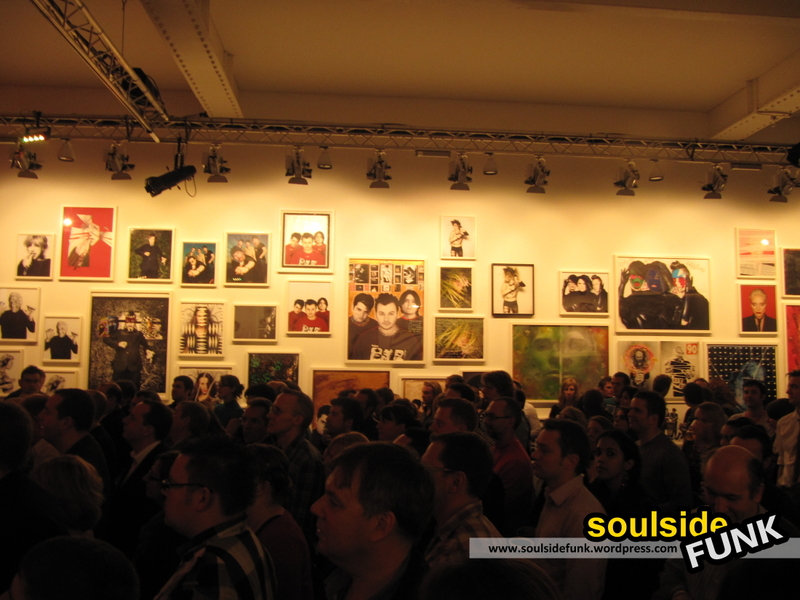 The gig was in support of the charity Youth Music, who are putting on the Destroy Rankin exhibition. 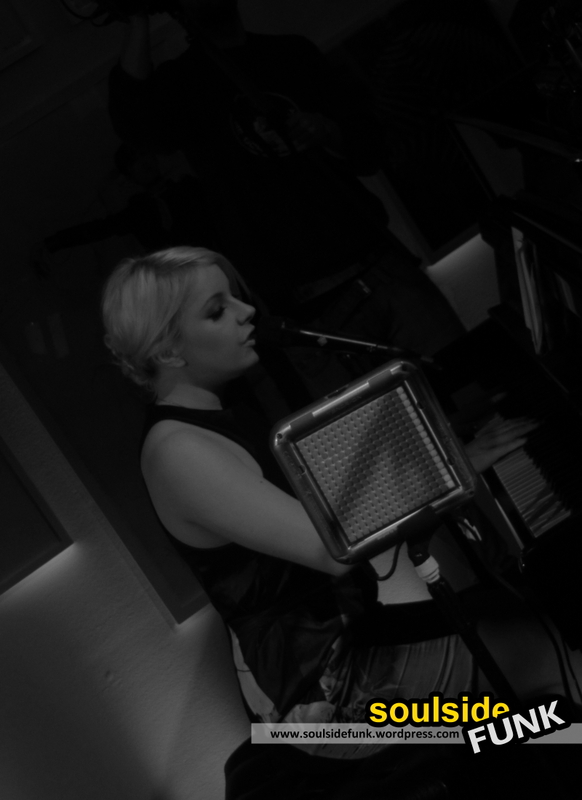 Being in an art gallery, Little Boots opted for something different, she stripped away the drums, the synthesizers, the bass guitars (although she kept her space-aged noise machine) and all that was left was a miniature blonde girl and a piano. It was a rare opportunity to hear her music without all the extras, and I think in many ways it was better for it because she was left exposed, no longer hiding being space aged-riffs and electronic thumps. It gave fun and club-worthy music a haunting sound that seemed to linger in the air; the transformation of Stuck on Repeat being particularly poignant. Her version of what seems to be everyone’s favourite song at the moment, Running Up That Hill, was just a moving, the simple accompaniment making the song more tender and the lyrics more meaningful. Remedy too went from teeny-bop to touching (I just wished she would have left that darn Tenori thing at home because the beeps and honks were annoying). In such a small setting her personality came through too, she seems like someone who is genuinely grateful for the help she had (her mum buying her a piano and lessons from the age of five), and appears genuinely humbled by the positive response she gets. 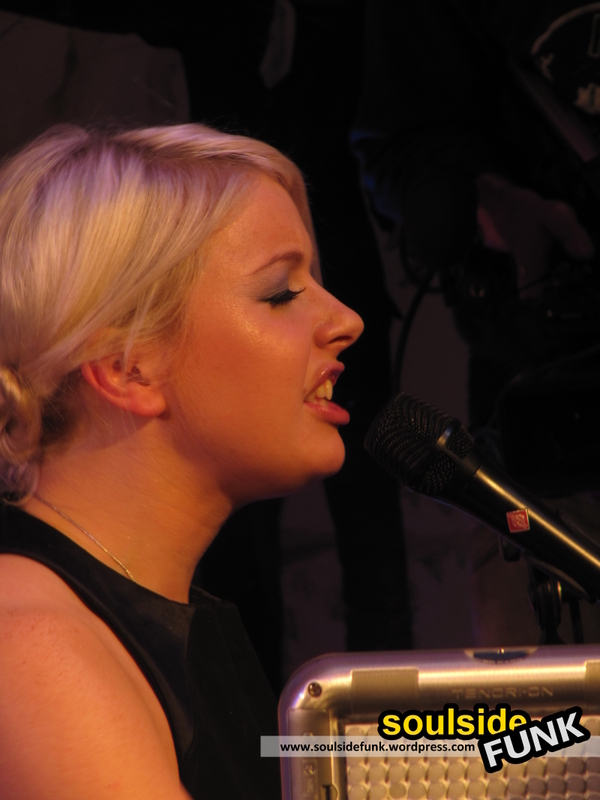 I remember a while back Little Boots tweeted she had been mistaken by a fan for Pixie Lott. While the two of them do look almost identical, I don’t think Pixie Lott could have delivered what Ms. Boots did yesterday evening. Ps. the exhibition is well worth checking out, so get yourself down there (I’ll probably go again to get a proper look around the ‘VIP’ section of the gallery), details here. 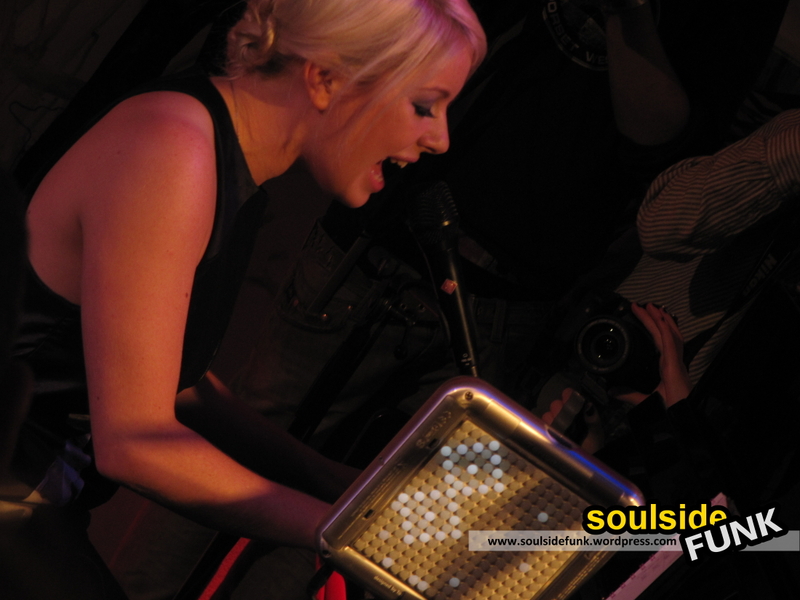 Posted in Gig Photos, Gig ReviewsTagged Art, Concert, Destroy Rankin, Gig, Little Boots, Phillips de Pury, Photography, Pitures, Rankin, ReveiwBookmark the permalink.